James/Cipres put out an emotional performance to “Wicked Game” and “The Last Feeling”, opening with a triple twist, triple toe-double toe-double toe-double toe combination and triple Salchow and following up with difficult lifts, a throw triple flip and throw triple Salchow. The World bronze medalists earned a level four for the lifts and the pair spin. 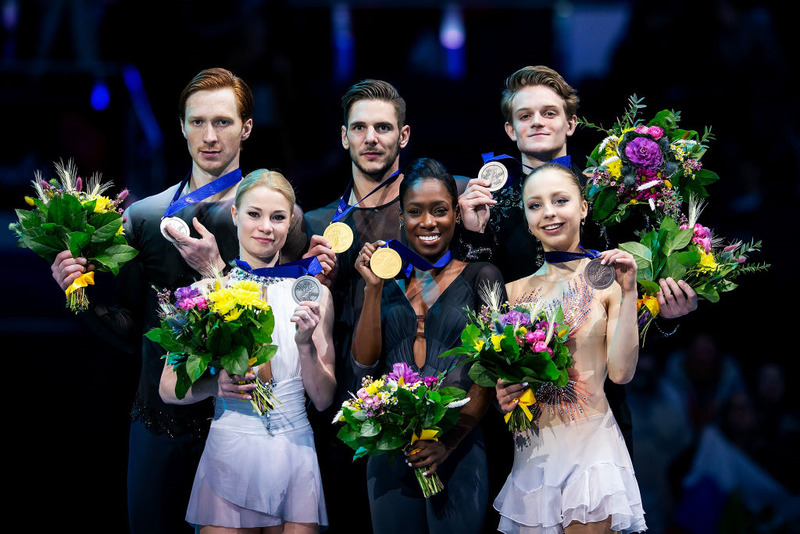 The French Champions scored 149.11 points for the Free Skating and totaled 225.66 points to take the title. “It is a dream come true. We’ve dreamt of that forever. I am so happy and proud, I can’t even find words to express how much,” James shared. “We sacrificed so much and did so many efforts. It was a dream when we were children to be here one day. It’s a moment of joy that I really want to share with the whole team, the federation, my family and my friends. We finally made history and we’re so proud. We’ll keep going to hopefully win more titles,” Cipres said.